Kemco has started shifting its focus to Switch as of late. However, the company isn’t abandoning its support for 3DS entirely. Dragon Lapis will actually release on the handheld this week, according to Nintendo’s website. A thousand years ago, a great battle ensued between two dragons, one gold and the other silver, where they were sealed away. Many centuries later, the Silver Dragon reawakens, and launches an assault on a frontier village. Lucas, a royal knight serving as a guard, little does he know he is, in fact, a descendant of the hero who once sealed the Gold and Silver Dragons in human form. Nonetheless, when the tragedy strikes, he soon sets out on an adventure to save the world! Make a return to the golden age of RPGs with 8-bit graphics and chiptunes. By unlocking growth plates, characters are able to strengthen parameters, learn skills, and increase job rank! Master multiple jobs and live an adventure full of challenges and dungeons to explore! 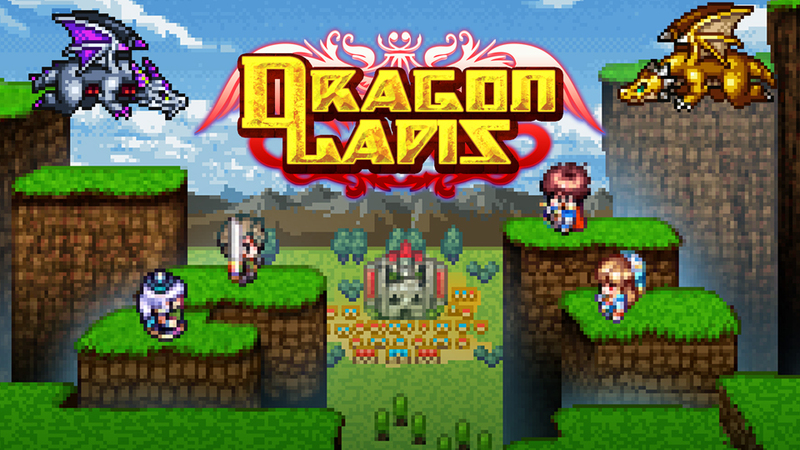 Dragon Lapis will be available on May 31. Pricing is set at $9.99.